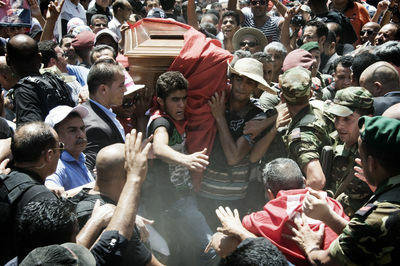 Mohamed Brahmi's being carried into the Al Jellaz cemetery. 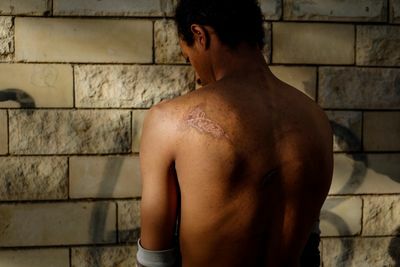 Abdi was the first to be attacked by a group of Egyptian youth over the dam project. He was beaten, and his back still bears the scar from the burns. Yop's life (random name), a Christian woman aged 45, changed when she refused the marriage proposal from a Muslim man working with her. Since that moment, he started threatening her and her family and he turned their lives into hell when she decided to marry another man. Thanks to his contacts, her harasser made her and her husband to be imprisoned and her nephew killed. 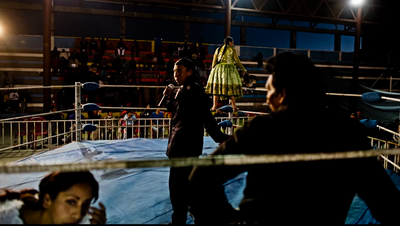 The whole family left the country in December 2011 and traveled to Bangkok where they got the refugee status. Like all other teachers in Young Cranes Primary School, Moreen Nakiboneka teaches in English, a historical nod to Uganda's colonial past. She is a recent graduate from university, and confided that while she loves teaching, the pay, only $150 a month, isn't enough for her to make ends meet. She does, however, command the respect of the village elders and her students. 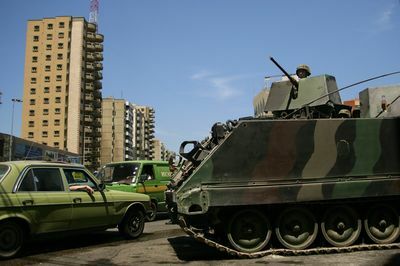 Lebanese Army armored units prepare for battle with religious militias in Tripoli, after taking casualties from repeated ambushes from masked gunmen they believed to be part of the Salafi Militias June 6, 2013.